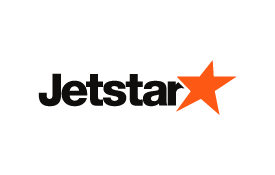 The Jetstar Group is a network of value-based carriers providing low fares across Australia, New Zealand, and the Asia Pacific region. The network includes Jetstar Airways, Jetstar Asia (Singapore), Jetstar Japan, and Jetstar Pacific (Vietnam). Since its launch as part of the Qantas Group in 2004, the Jetstar Group has flown more than 110 million passengers; it is now the largest low-cost carrier in the Asia Pacific region by revenue. The Jetstar-branded entities in the Asia Pacific region are owned by the Qantas Group and other dual-brand airline partners. Learn moreFind out more about offers from JetstarOpens an external website in a new tab. Earn and spend Skywards Miles on Jetstar Airways, Jetstar Asia, Jetstar Japan, and Jetstar Pacific flights across the Jetstar network. You'll earn Skywards Miles when you fly international routes with Jetstar Airways, Jetstar Asia, Jetstar Japan, and Jetstar Pacific. You'll also earn Skywards Miles when you fly domestic routes within Australia and New Zealand and connect on to an international flight. Use our online request form to book your Jetstar reward flight, starting at just 7,000 Skywards Miles. The table below shows the number of Miles you need for a one-way reward ticket. A round-trip reward will be require double the Miles for a one-way reward. Skywards Miles can be earned on all Jetstar and Jetstar-operated international flights, as well as on all domestic Australia or New Zealand flights that are part of an international booking. Skywards Miles can be earned on Plus or Max bundle fares only. Skywards Miles cannot be earned on Group Inclusive Tour (GIT)/Inclusive Individual Fare (IIT) tickets, redemption awards, or free ticket promotions. Tier Miles cannot be earned on Jetstar flights. Skywards Miles will be credited within six weeks of completing your journey. To claim missing Skywards Miles for flights completed within the last six months, please complete the Claim Miles form for partners on our website. Redemption tickets can be booked and issued on all Jetstar and Jetstar-operated flights (designator code JQ, 3K, GK, or BL). Reward tickets are not valid on codeshare flights operated by any carrier other than Jetstar. Reward tickets are valid for 12 months from the date of issue. Reward values include 30 kg baggage allowance in Economy Class, and 40 kg baggage allowance in Business Class. Taxes and surcharges are not included. Reward flights can be booked for both one-way and round-trip travel. Children traveling on reward tickets will be required to redeem the same number of Miles as adults. Infants (0–2 years) travel free on all domestic, trans-Tasman, and international routes. Refunds on fully unused tickets are permitted at a charge of US$75. A rush reward fee of US$75 applies for reservations made within 24 hours of outbound travel. A rush reward fee of US$50 applies for reservations made within seven days of outbound travel.